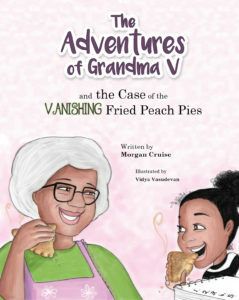 Grandma V’s fried peach pies keep disappearing but no one knows why. Good thing Juliana loves solving mysteries! Follow along as Juliana learns about Grandma V’s memories of the Civil Rights movement as she solves the case of the missing pies. Take a ride with Amoya as she details the day she and her family give away the last of their belongings and prepare to leave Jamaica for Chicago. The little things, such as her favorite ice cream, pop up in her memory as she reconciles the fact that this treat might not be available where she is going. 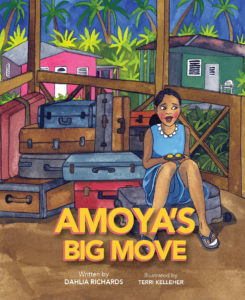 Amoya’s Big Move paints a vivid picture of Jamaica as Amoya and her family journey to the airport and say their goodbyes. Amani Taylor is a boy of few words until he falls asleep. 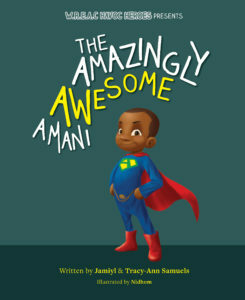 When night falls, he becomes AWESOME AMANI—crime fighting superhero and defender of all that is good. 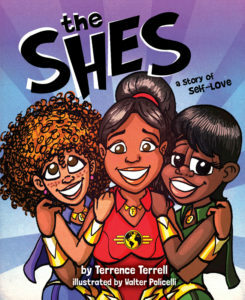 The W.R.E.a.C Havoc Heroes series presents the story of a boy who takes on life’s challenges by day but is a perfectly normal avenger in his dreams. 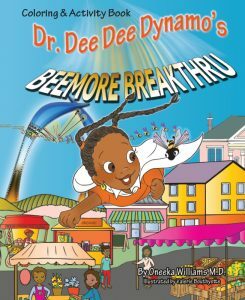 This is a tale of perseverance and the power of a great imagination. 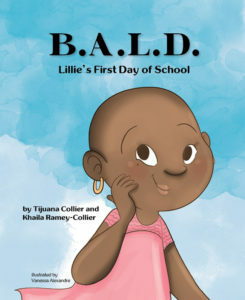 It’s Lillie’s first day of school and she is very excited to start the new year.Throughout her day, she meets new friends who help her appreciate what makes everyone special and what it truly means to be B.A.L.D. 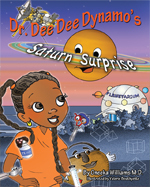 Join Lillie on the first installment of her many adventures! 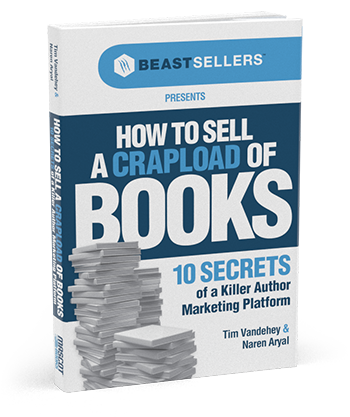 What happens when two best friends Amir and Neena get bored? They travel to another dimension, of course! Get ready for an adventure that you’ll never forget! 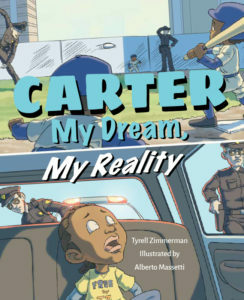 It’s a scary world out there for little Carter. Scary things are happening every day, and he doesn’t understand why. 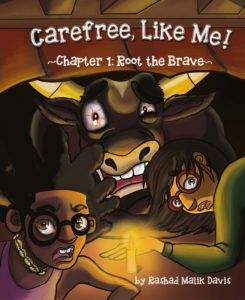 Join Carter as his mom helps him understand these scary situations teaches him how he can make a difference in the world. 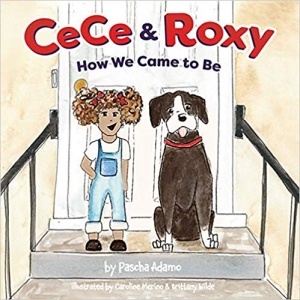 Best friends from the start, CeCe and Roxy become family when Roxy’s owner must go away. Meet the family who fosters this lovable pit bull. After spending over six years of his life in prison, Sincere has only one thing on his mind—revenge against the person who put him away and the people who did him wrong. 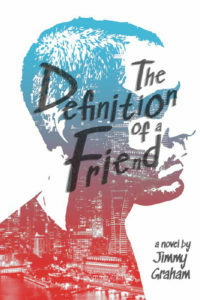 After coming home, he realizes that everyone he believed to be a friend may not be who he thought they were, and he could be wrong about everything he thought he knew as a result. Super Surgeon ON THE GO! 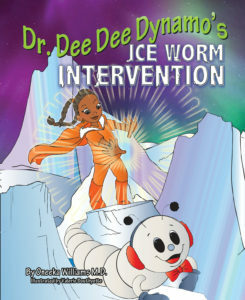 Dr. Dee Dee Dynamo can tackle them all! Imani and her sister, Crystal, love going to their grandmother’s house on the weekends to help with her garden. 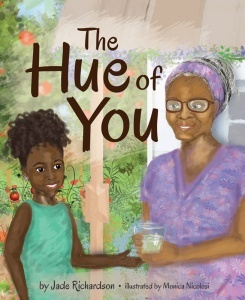 However, one weekend, a comment from Imani stuns her grandmother, quickly turning a simple day of gardening into a day filled with eye-opening conversation about self-love and the nature of acceptance. As an educator, activist, and former Broadway actor, Dr. Philip McAdoo has spent his life fighting for the rights of gay, lesbian, bisexual, transgender, and queer youth, families, and educators. Working to combat discrimination in personal spaces, professional places, and public platforms, Dr. McAdoo has always been passionate about equality for all. What started as an exploration of LGBTQ teachers in the workplace eventually evolved into his dissertation. 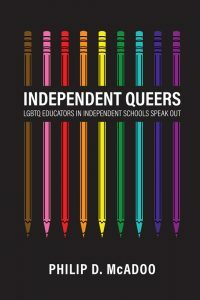 Independent Queers: LGBTQ Educators in Independent Schools Speak Out is a culmination of his work over the years. Containing over 35 distinguished voices in the space, Independent Queers is an ultimately searing exploration—written by teachers of all grade levels—that will resonate for generations to come. Khloe is starting Kindergarten, and it’s nothing like Pre-K! Khloe’s finding out that there’s a lot to learn when you’re five, and that there are exciting things about starting elementary school, too. 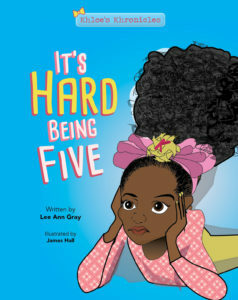 It’s Hard Being Five will help kids of all ages learn that the discomfort that comes with starting a new grade or at a new school is only temporary. With the support of your parents and friends, school will be easy for you! 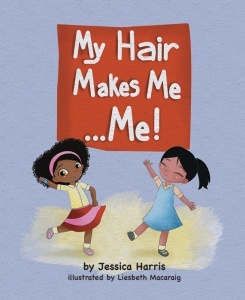 My Hair Makes Me… Me! Graylee and Lili are best friends, but one rainy day leaves Graylee feeling sad about their differences. Big brother Greg comes to the rescue, but can he help the girls see that their differences are also what make them special? 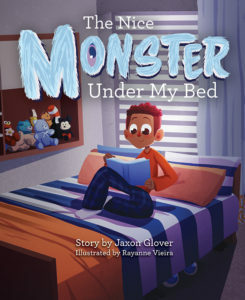 Six-year-old Jaxon really wants to be brave, but can he? The world has so many scary shadows, strange noises, and weird-looking things. Follow Jaxon as he tries to fix a problem and find his courage in a big, spooky world. Hope, Merci, and Grace are, by all accounts, sisters, though they do not share the same blood. At a young age, the three girls vow to be sisters forever, and from that moment forward, choose each other as family every day. 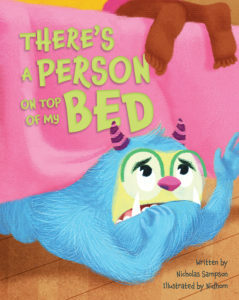 They share their lives, their triumphs, their pitfalls, and their hearts. They celebrate in their victories together, and pick one another up when they fall. In this stunning debut novel, Joyce Adjekum introduces the world to three women who epitomize friendship, love, and resounding courage. Each different in their own ways, Hope, Merci, and Grace are as real to us as those we love: our sisters, our mothers, and our friends. This is their story. 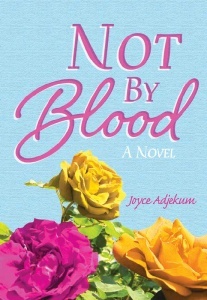 Inspired by her own relationships with wonderful sisters in her own life, Adjekum intertwines her own upbringing in both Ghana and the United Kingdom to voice a novel that is as moving as it is powerful. The first novel in a trilogy, Not By Blood is a story that is sure to stay with you, long after you’ve turned the last page. When the lights turn off, the things that go bump in the night come out to play. But is it fear that they aim to bring or is it simply a misunderstanding? We’ve heard this story so many times before, but this time it’s from a different perspective. 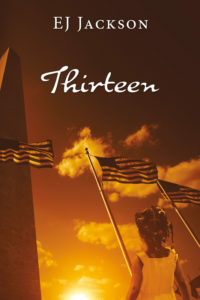 Thirteen is a memoir about a little girl named EJ and the rollercoaster of a relationship she had with her father in 1970s and 1980s Washington, D.C. 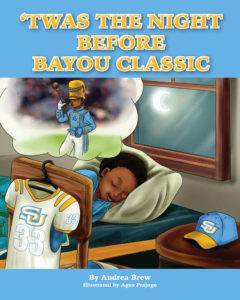 This raw narrative shows the good, the bad, and the ugly situations of EJ’s childhood that would go on to color her view of the world around her for most of her adult life. Dark comedy, deadpan sarcasm, and frank language are used to frame the profound moments of EJ’s journey into adulthood and explore the many lessons she learned along the way. Eight-year-old Jennie and seven-year old Michael love to travel while making new friends along the way. 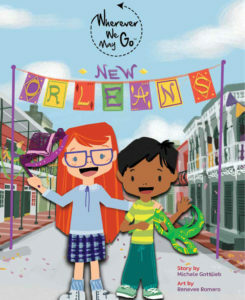 Join them on their first big adventure as they learn, dance, and eat their way through New Orleans! Looking at the world through Xavier’s eyes is like a kaleidoscope of different cultures. Xavier is taking a trip to Africa, but he must accomplish a few tasks before he leaves. Xavier is ready to meet his other Grandpère and explore while learning about life in Senegal, West Africa. 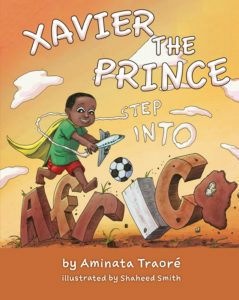 Blending Xavier’s curiosity and cultural tidbits, this story lets children imagine life outside of their hometown and journey with Xavier to West Africa. 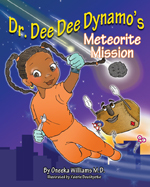 Persistence and quality time are a couple of the ingredients MJ uses to create her daddy. 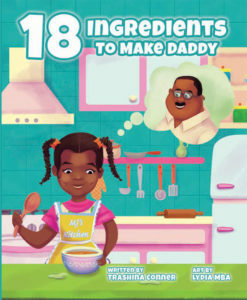 Join her in this unique journey, making any additions you need to create your daddy, after all he is your first love so you want him to be perfect. 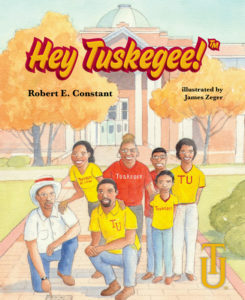 Are you celebrating Black History Month through reading? 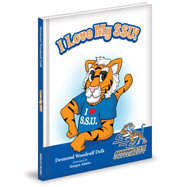 Share with us on social media @MascotBooks.